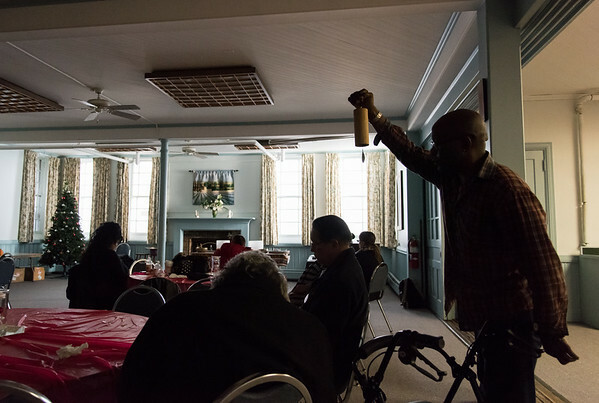 NEW BRITAIN - Members of the community remembered those who have died of HIV/AIDS while celebrating those still fighting Wednesday in a World AIDS Day event at South Church. First held in 1988, World AIDS Day’s 30th anniversary was Saturday, Dec. 1. The Human Resources Agency of New Britain’s Division of Health and Wellness hosted Wednesday’s commemoration with survivors, advocates and others who have been affected by HIV/AIDS. According to the World Health Organization, more than 75 million people have acquired HIV/AIDS and 35 million have died. About 37 million people in the world currently live with the disease. This year’s event focused on self-healing and taking care of one’s mental health. “One of the most important things is how we can do self-are - how we can take care of ourselves,” said Leticia Mangual, the HRA’s director of health and wellness. Valerie Ingram, a wellness program coordinator with the HRA, led the group in amoment of silence, during which she encouraged people to speak the name of loved ones they’ve lost to the virus. “The important part of this moment is remembering, taking a moment out to remember those who have stood beside us on this journey,” Ingram said. Alice Ferguson, an AIDS survivor who now works with the HRA, shared her story of life with the virus. She was diagnosed in 1989, a very different time for those living with HIV/AIDS. Ferguson dealt with HIV/AIDS-related stigma from many people, even her own family. “At that time, very few women were diagnosed,” Ferguson said. Ferguson’s case worsened over the next decade, and she eventually fell into a coma for three months. After she awoke, to the surprise of doctors, she began to get her life back on track. Ferguson became involved in a treatment program and started participating in HIV/AIDS-related groups and boards. “Those people became my family,” Ferguson said. Now, Ferguson uses her story to encourage others to continue fighting for their lives. Just 30 years ago, she thought her life was close to over. “I have 12 grandchildren that are the light of my life,” Ferguson said. State Rep. Bobby Sanchez, D-New Britain, said organizations like the HRA are important to those who need services and help in the community. Two presenters talked about different ways people can them take care of themselves, specifically their emotional and mental health, when living with HIV/AIDS. 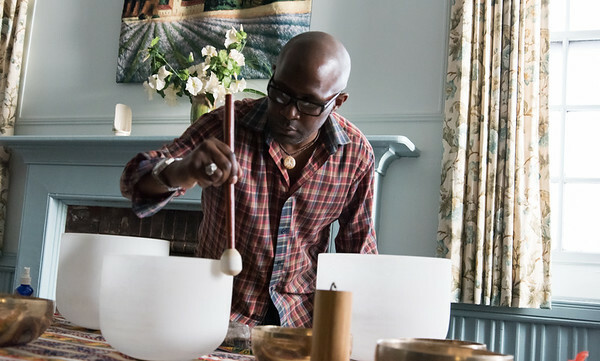 Kelvin Young, a sound practitioner from Middletown, gave a demonstration of sound healing - a holistic practice used to relieve stress - and other tools to help mental health. Sound healing is a type of meditation or therapy that involves using aspects of music to calm the mind. Young said he learned about sound healing while in prison and has since used it to help others relieve stress and cope with addiction. Young decided to turn his life around and joined a recovery program in prison to learn how to better cope with his emotions through meditation, sound healing and other holistic methods. Young says he’s been clean ever since and his mission now is to help others cope with stress. The other presenter was Briggitte Brown, a licensed clinical social worker, a family therapist and a pastor who provides clinical and spiritual support with a focus on mental health and addictions. She helps guide her clients by teaching them ways to cope with stress, including aromatherapy and breathing techniques. Brown brought along her natural oils that she said have helped her and her family with their mental wellbeing. Posted in New Britain Herald, New Britain on Wednesday, 5 December 2018 21:22. Updated: Wednesday, 5 December 2018 22:04.